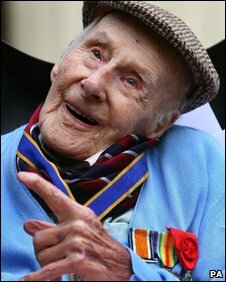 Henry Allingham, the world's oldest man and one of the last surviving World War I servicemen, has died at the age of 113, his care home has said. Last month, Mr Allingham, born in 1896, became the world's oldest man. The Queen said he was "one of the generation who sacrificed so much for us all". A spokeswoman for Buckingham Palace said the Queen's "thoughts are with his family during this time". Bosses at his Brighton care home said everybody was "saddened by Henry's loss and our sympathy goes to his family". His funeral will take place later this month at St Nicholas' Church in Brighton. Mr Allingham, whose life has spanned three centuries and six monarchs, has five grandchildren, 12 great-grandchildren, 14 great-great grandchildren and one great-great-great grandchild. His wife Dorothy, who he was married to for more than half a century, died in 1970. Prime Minister Gordon Brown paid tribute to the war hero, calling him a "tremendous character". "I had the privilege of meeting Henry many times. He was a tremendous character, one of the last representatives of a generation of tremendous characters," he said. He added: "My thoughts are with his family as they mourn his passing but celebrate his life." And Prince Charles described Mr Allingham as "belonging to that incredible generation who did so much for their country". A Clarence House spokesman said: "The Prince of Wales was sad to hear of the death of Henry Allingham this morning. "We owe him a huge debt of gratitude for all he has done." A minute's silence was held at Lord's to mark his passing before play got under way on the third day of the second Ashes test. Mr Allingham joined the Royal Navy Air Service in September 1915 and served in Ypres before transferring to the RAF in April 1918. In November last year, he took part in ceremonies to mark the 90th anniversary of the end of WWI. Speaking before events began, Mr Allingham said he couldn't forget the war even if he wanted to. "I saw too many things I would like to forget but I never will forget them, I never can forget them," he said. For decades, he buried his war memories, avoiding reunions and refusing to discuss the events with his family. But, in 2005, he was persuaded to unveil an RAF memorial in France and decided it would have been disrespectful to his former comrades to refuse. This was followed by numerous honours and accolades. He was given a doctorate in engineering from Southampton Solent University and was made an honorary freeman of Brighton and Hove. He was also made an honorary member of the Royal Naval Association, received a Legion d'Honneur and published his life story. Last month, the Royal Navy hosted a 113th birthday party on HMS President in London for his family, close friends and members of the Royal Navy and Royal Air Force. That was the last time his nephew Ronald Cator saw him. Mr Cator said his uncle looked "very, very frail. He went downhill in the last few months." "He used to sleep a lot at the end. He wanted to pass away, poor old boy." Dennis Goodwin, founder of the First World War Veterans' Association, led the tributes to Mr Allingham, the last survivor of the Battle of Jutland and his old friend. "Henry was truly a gentleman - his strength of character, his purpose. He left quite a legacy to the nation of memories of what it was like to have been in WWI," he said. Veterans minister Kevan Jones said he was "greatly saddened" to hear of Mr Allingham's death. "For one of his age, his vigour for life was extraordinary," he said. "I was humbled to meet somebody who had led such an amazing life and we owe such a huge debt of gratitude to him and his generation." Graham Mottram at the Fleet Air Arm Museum in Yeovilton said Mr Allingham was the "highest example" of a military man, who will be remembered for his "total even-handedness" in treating his colleagues in the forces, irrespective of age and rank. Robert Leader, chief executive of St Dunstan's care home in Ovingdean, near Brighton, said: "He was very active right up to his final days, having recently celebrated his 113th birthday on HMS President, surrounded by family. Patrick McBride, senior nurse at St Dunstan's: "It was a privilege to look after him"
"As well as possessing a great spirit of fun, he represented the last of a generation who gave a very great deal for us. "Henry made many friends among the residents and staff at St Dunstan's. He was a great character and will be missed." 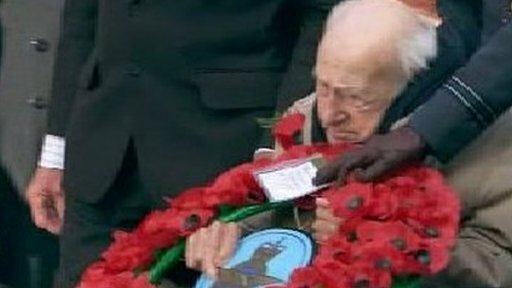 Mr Allingham is survived by Harry Patch, who turned 111 last month and is now one of the last two British survivors of WWI. 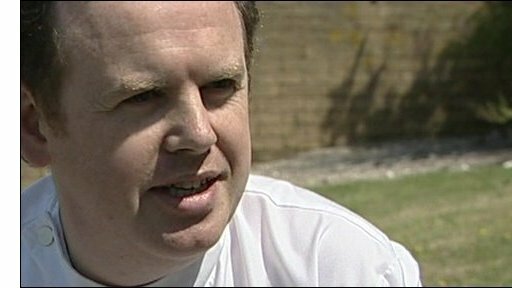 Speaking from Fletcher House care home in Wells, Somerset, Mr Patch said he was "very sad at losing a friend". The other British survivor is Claude Choules, aged 108, who served with the Royal Navy. Born in Worcestershire, he stayed in Australia after he was seconded there in the 1920s as an instructor to the Royal Australian Navy. Did you ever meet Henry Allingham? What are your memories of him? Send us your comments using the form below.